All-Star forward for NBA champion Golden State Warriors visits Israel, meets President Rivlin in Jerusalem. Draymond Green, an All-Star forward for the NBA champion Golden State Warriors, met in Jerusalem with Israel’s president. Green presented Reuven Rivlin with a Warriors jersey during their meeting Wednesday. The basketball player is in Israel as part of a visit organized by the Friends of the Israel Defense Forces, Hadashot News reported. “It’s not every day that I meet an All-Star,” Rivlin told Green. He also tweeted a welcome to Green. 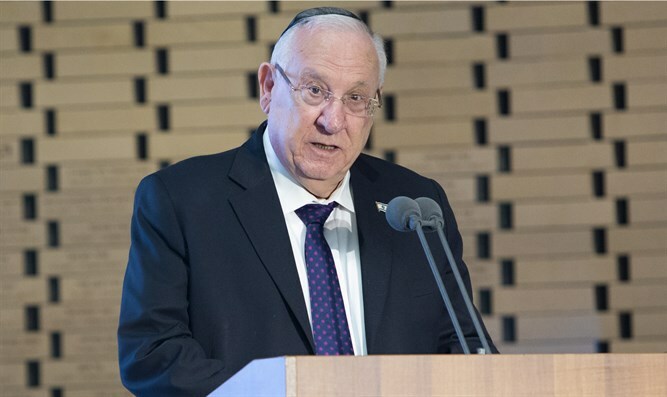 Rivlin said that like many Israelis, he watched the NBA Finals between the Warriors and the Cleveland Cavaliers live, which is very early in the morning in Israel. The Warriors swept the Cavs to win their second consecutive title and third in four seasons, all at the expense of the LeBron James-led Cleveland squad. During a visit with the Border Police’s counterterrorism unit, he played basketball with members of the unit on a court donated by American donors through Friends of the IDF.